Dropbox has received a lot of recent attention in the news. The cloud service giant now provides services to over 500 million people and generates $1 billion in annual revenue. That monumental growth led to a recent $10 billion valuation and—if you’ve been paying attention to recent tech news—reports of an imminent Dropbox IPO in the first half of 2018. Needless to say, it’s an exciting time to be one of the 1,000+ Dropbox employees. Do Dropbox jobs pay enough to attract the best-of-the-best? The average salary for tech employees at Dropbox is a whopping $219,000 per year. That includes a $140,000 base salary, $16,000 in annual bonus, and $63,000 in equity each year. And if you’re talented enough to land one of these top jobs, then you could potentially earn much more than that at Dropbox. According to Paysa data, the highest paid position at Dropbox is a solutions architect. The average salary for a solutions architect at Dropbox is $302,000 per year. That includes a base salary of $245,000, an annual bonus of $15,000, and equity totaling $42,000 per year. Dropbox network engineer salaries average out to $299,000 per year, including a $189,000 base salary, $18,000 annual bonus, and an amazing $93,000 in annual equity. Mobile application developer salaries at Dropbox equal $271,000 per year on average. Top candidates in this role enjoy a base salary of $188,000, an annual bonus of $15,000, and annual equity totaling $68,000 per year. The salary for a site reliability engineer at Dropbox averages at $263,000 per year. That includes a base salary of $169,000 per year, an annual bonus of $16,000, and $77,000 in annual equity payouts. 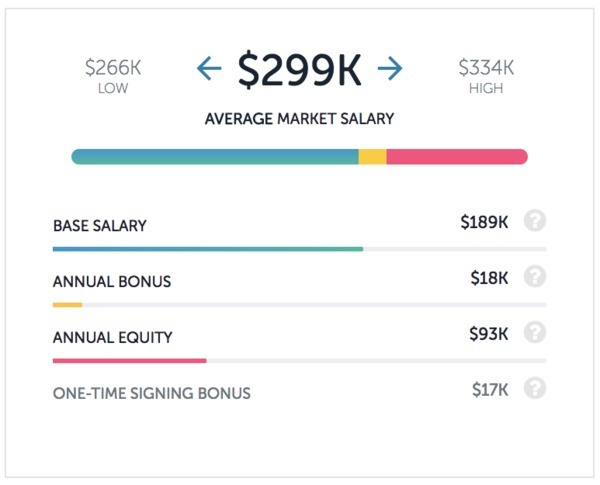 Dropbox product manager salaries average out to $259,000 each year, including a $164,000 base salary, $18,000 annual bonus, and $76,000 in equity each year. 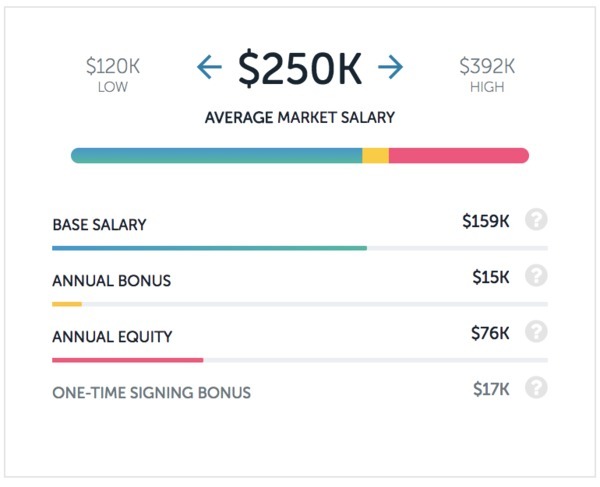 Software engineer salaries at Dropbox equal $250,000 per year on average. If you’re lucky enough to land one of these top Dropbox jobs, you’ll enjoy a base salary of $159,000, a $15,000 annual bonus, and $76,000 in annual equity. The salary for a systems engineer at Dropbox averages around $201,000 per year, including a $142,000 base salary, $14,000 each year in bonus money, and $45,000 in annual equity. If you have the necessary skills, the salary for a QA test engineer at Dropbox is hard to beat. In this role, candidates can expect to earn $189,000 per year, which includes a $131,000 base salary, a $13,000 annual bonus, and $46,000 in equity. 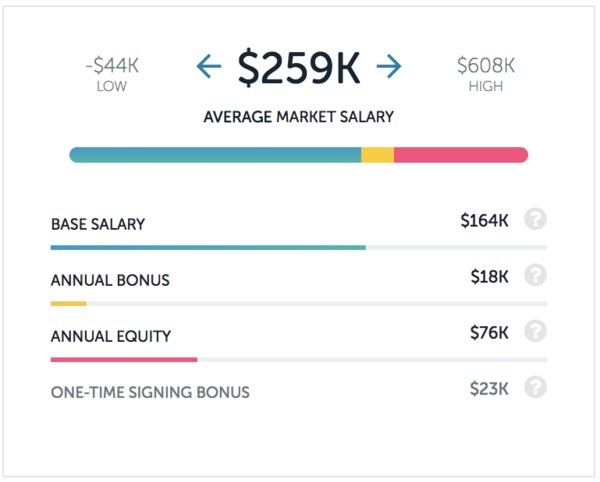 A data scientist’s salary at Dropbox averages $183,000 per year. That includes a $122,000 base salary, $15,000 annual bonus, and $46,000 in annual equity. Lastly, Dropbox’s salary for a product designer averages $181,000 per year with a $134,000 base salary, $12,000 annual bonus, and $35,000 in equity each year. Interested in learning more about Dropbox jobs? Check out two recent posts on our blog about the interview process for top tech jobs at Dropbox, as well as a salary comparison between Dropbox and their top competitor, Box. Note: The salary data in this article is current as of its publication date. To access the latest salary data and see if there’s been any upward movement, check out our salaries page or sign up to personalize Paysa for you.